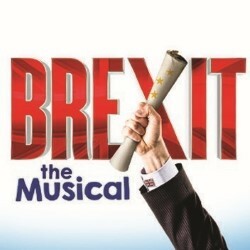 It had to happen – the musical of course, not the Brexit. Here we have all of the main protagonists in caricature giving us the salient points of the whole messy Brexit story so far. Even if politics isn’t your thing you will laugh at the famous incompetence and manipulations which seems to pervade all of the characters and I have to say the imitations are excellent from the strong cast. Also, the end ‘plan’ they come up with as a solution is perfect! The cast are very professional, the singing, acting and characters are all very good with the direction keeping the show moving along swiftly. 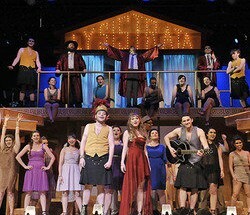 The music is generally okay with a couple of stand-out numbers and the arrangements and live musicians are excellent. My only complaint was that the sound was far too loud, particularly in the second half where words were getting lost as the sound wasn’t clear. It may be fine at the back but down the front it was deafening.